I didn't mean to completely copy someone else's manicure for day 7 of the challenge, but I accidentally did! 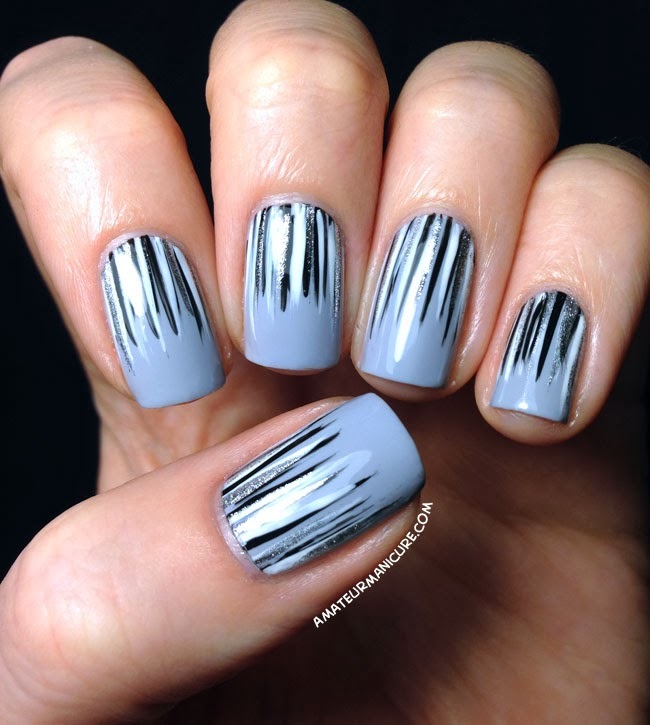 I wanted to try some waterfall nails, made famous by Sammy over at The Nailasaurus, and I decided to do them in black and white, over a grey base. Well, after I finished the manicure, I went to have a look at all of Sammy's waterfall looks and realized that she did a monochrome waterfall, too—a couple of months ago. Oops! I guess that makes this an homage to her lovely work. Even if I'm an accidental copycat, I really like how this turned out and I'm definitely going to be doing more waterfall manis in the future. I started with a base of Nars Galathee and then used the brush side of the Nubar nail art "pens" in basic white and black to create the waterfall. (I also used Zoya Trixie and a striping brush to add some silvery accents to the waterfall.) This could've all been done with regular polish and a striping brush, and I'll probably do it that way next time, but I'd just picked up the Nubar pens and wanted to try them out. 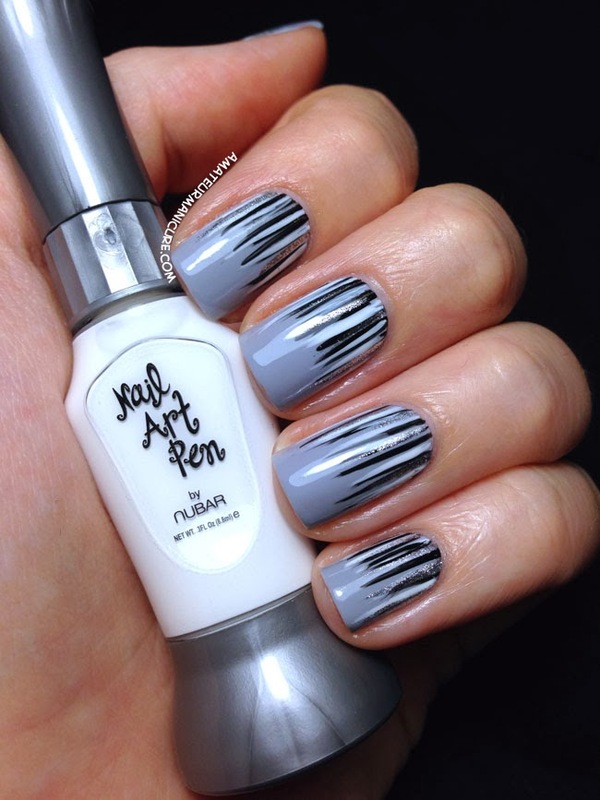 How about you guys—have you tried any waterfall manis yet?